Should I stop buying leather? 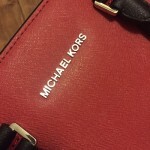 You are here:Home / BLOG / Should I stop buying leather? Most of vegans are widespread about the cruelty involved in fur and leather productions; and eating meat is like killing animal. Is using leather bad? These are some criticisms I am struggling with myself. Firstly, notice that I don’t encourage for abusing animal, I watched and read many horrible realities of factory farming. I am ethical and passionate about environmental impacts. Does anyone think that being vegetarians could kill animals? Some people may laugh but its true that the dairy cows and laying hens have to be killed in order to supply you with those products like eggs, milk or cheese. Most of the eggs we eat are unfertilized one and after 2-3 eggs circle, chickens would have to be killed. So if you are vegetarian, you are also responsible for animal deaths! Secondly, I refuse to judge people the way they eat, same as the way they wear. Nowadays, have to say that from clothing and accessories to furniture, leather is found everywhere. Using leather is also not “vegan” but is it better to use something like a “synthetic” item that would taken hundreds of years to decompose and full of chemicals? Is leather bad ? It’s a meat byproduct of meat industry, we don’t use it, it will go to waste. The leather was removed after the animals were actually dead. I know there are many options of cruelty-free, environment- friendly products but these kinds of products are not really cheap with a good quality and what can be sustainable if they are really ” green”. There are many things to do to keep a green and better planet, for example: behaving( treating people around you well, helping others ) or thrifting ( saving electricity and water ) ? To me, veganism is just only the food choice to have a better health, I feel like a hypocrite whenever I said about stop eating meat or using leather because of the animal love. Is using leather really bad? And become a vegan is that good? Everything has two sides: bad and good. I don’t claim to be perfect. I love leather, it’s not an accurate reflection of my character if my choice is using leather products. Knowing that leather is a by-product of the food industry makes me glad we are making use of what otherwise would’ve been wasted. I hope to see an international standard (criteria process) to certify if the animal was treated and processed in a humane way. I’ve always swayed on the pleather side — it’s cheap, vegan, and looks like plastic (not a real reason). There is something about the firm thickness, softness, and rich colour of genuine leather that embodies classic quality, workmanship, and durability. My favourite leather items? My wallet from Modena, Italy and Clark’s desert boots with a beeswax finish. What about yours, Ni? Hi Geoff, thanks and i love your wise comment. I don’t have any specific brand name for my favourite items. Usually I buy things I love when I travel and mostly in leather handmade or vintage stores which are not really popular. However, I have a Timberland leather boots that I really love, and like you, Clark are also my choice for leather shoes. I don’t think that using leather is bad. As you mentioned it is a by-product and why waste when you can put it to good use. In addition, if we are to get technical, back in the days the skin of animals was used for clothing. Once the animals do not endure harsh conditions/treatment I see no issue in using leather. In addition, one could argue that by being a vegan, one is essentially being cruel to plants. Personally, i think it best to use the leather as opposed to synthetic that is bad for the environment. Thanks Alicia, Im glad that you have a same point with me. Do you have any leather products or any specific brand that you love ? 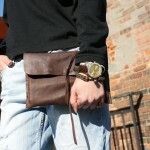 I am a huge fan of leather and don’t think it is bad – people have been using leather since the beginning. For the masses I do think vegan leather is a great option because it is cheaper and does please those who prefer not to use real leather. Vegan leather has become a much better dupe, looking and feeling much more like real leather than it ever has at a much more affordable price. This being said the quality of real leather is still so much greater and more durable and if it is being sourced in an cruelty-free manner then I don’t see an issue. Great post Ni. I think it is great that people have different opinions on issues such as leather, and I think the debate that stems from these differences is healthy for society. I myself, am against any sort of cruelty or unjust suffering to animals but I am glad that a lot of leather being used is a by-product of the food industry. The more that we can make use of these animals, the better we are at responsible consumption. I think more focus on this rather than specifics like veganism etc, is more realistic and help society as a whole. I am struggling with myself too. I love animal, but I cannot be a vegetarian as I cannot live without meat. 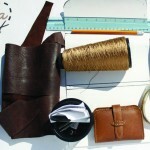 What should a beginner need for leather working?